Á labhairt: An Ailgéir, Aontas na nÉimíríochtaí Arabacha, an Araib Shádach, Bairéin, Catar, Cuáit, an Éigipt, an Éimin, an Iaráic, an Iaráin, an Iordáin, Iosrael, an Liobáin, an Libia, Maracó, an Mháratáin, Óman, an Phalaistín, an Sahára Thiar, an tSiria, an tSúdáin, an Túinéis, an Tuirc. Is í an Araibis an ceann is mó cainteoirí dúchais de na teangacha Seimíteacha. - an Acáidis. Tá an Acáidis ar ceann de na teangacha is sine a bhfuil eolas againn orthu. Sa Mheasapótaim - in Iaráic an lae inniu - a labhraítí í, ach níorbh í féin an teanga is sine a bhí á saothrú ansin. Is amhlaidh gur tháinig sí i leaba na Súiméirise, an tseanteanga Mheasapótamach nach raibh aon teanga eile gaolmhar léi, go bhfios dúinn. B'í aibítir na litreach dingchruthach - "cuneiform" mar a thugann lucht labhartha an Bhéarla uirthi - a d'úsáidtí leis na teangacha seo, eadar Acáidis agus Suiméiris, a bhreacadh síos - nó a ghreanadh síos, le bheith beacht. Faoin mbliain 2000 roimh bhreith Chríost a thosaigh an Acáidis ag titim as a chéile, agus gach canúint ag dul a bealach féin. B'iad an Aisiris agus an Nua-Bháibileoinis an dá chanúint ba tábhachtaí acu seo, ach má bhí féin, chuaigh an chéad cheann acu in éag faoin am a rugadh Críost. Ní léir go fóill cad é an gaol a bhí acu seo le dhá sheanteanga eile ar baisteadh Éablaítis agus Úgairitis orthu. Tá scríbhinní sa chéad teanga le fáil i dTeill Máirdít (Ebla) faoi thrí scór ciliméadar ó dheas d'Aileapó, agus iarsmaí an dara ceann faighte amach ag lucht na seandálaíochta i Rais Seamra (Ugarit) láimh le Lataicia. Tá muid níos eolaí ar chinniúint na dteangacha Séimíteacha Iar-Thuaisceartacha, mar atá, an Aramais agus an Eabhrais thar aon cheann eile. Dealraíonn sé go dtéann na teangacha seo siar go dtí an Amóirítis, teanga nach bhfuil mórán fágtha di thar na hainmneacha pearsanta i gcartlanna Acáideacha. Bhí an Aramais an-difriúil leis an Eabhrais cheana nuair a breacadh an dá theanga síos an chéad uair riamh, ach tá aon dlúthghaol amháin, ar a laghad, ag an Eabhrais - an Fhéinícis. Cuid de na canúintí Féiníceacha, tá siad cosúil leis an Eabhrais agus nach féidir a rá cé acu den dá theanga seo atá i gceist dáiríribh. Ó thaobh an chultúir de, is í an Eabhrais an ceann is tábhachtaí de na teangacha seo. Baineann Eabhrais an Bhíobla leis na blianta 1200-200 roimh bhreith Chríost, ach tá an teanga bheo ar fáil ina lán cáipéisí ó na blianta ina dhiaidh sin freisin - go háirithe sa Talmúd. Bailiúchán de litríocht saíochta, fealsúnachta agus teagaisc is ea an Talmud. Chuaigh an Eabhrais in éag mar theanga labhartha faoin am a rugadh Críost, agus an Aramais á leitheadú mar a bheadh loscadh sléibhe ann. Ar ndóighe, níor éirigh lucht léinn an Ghiúdachais riamh as a seanteanga a shaothrú sna scríbhinní; agus san fhichiú haois thosaigh na Siónaigh ag labhairt Eabhrais lena gclann leis an teanga a athbheochan mar ghnáthurlabhra phobail. Maidir leis an Aramais, tá sí ar fáil i bhfoirm scríofa ón mílaois dheireanach roimh bhreith Chríost ar aghaidh. Nuair a d'éirigh sí ina gnáth-theanga ar fud an Mheán-Oirthir, scoilt sí ina dhá leath, an ceann iartharach - Aramais na Palaistíne, an Nabaitéis agus an Phailmíris - agus an ceann oirthearach, as ar fáisceadh na canúintí Nua-Aramaise a mhaireann inniu féin i mbéal dreamanna beaga de Chríostaithe anseo is ansiúd ar fud an Mheán Oirthir. Na teangacha atá fágtha anois, is iad na gaolta is dlúithe dá bhfuil ag an Araibis - sin le rá, teangacha Séimíteacha an Iar-Dheiscirt. Is é sin, más fíor gurb iad na gaolta is dlúithe iad. Nó níl lucht an tsaineolais ar aon fhocal go fóill faoin gcineál muintearais nó baint atá ag na teangacha Seimíteacha le chéile. Maidir le teangacha Seimíteacha an Iar-Dheiscirt, mar a thugtar orthu go traidisiúnta, is iad an Araibis Thuaidh, an Araibis Theas, agus an Amáiris iad. Is gá a chuimhneamh gurb ionann an "Araibis" mar a thuigimid inniu é agus an Araibis Thuaidh. Teanga is ea an Araibis Theas nach bhfuil róchosúil leis an Araibis Thuaidh ná intuigthe ag cainteoirí na teanga eile. D'fhág an teanga seo a lorg ar an gcineál Araibis Thuaidh a labhraítear san Ómáin agus san Éiméin. Thairis sin, ámh, maireann canúintí de chuid na hAraibise Theas in áiteanna iargúlta go fóill, ar nós Oileán Soqotra. Ní gnách na canúintí seo a chur ar pár, áfach. Deacair is uile mar atá an teanga acu, is í an Araibis Thuaidh a bhíonn á saothrú ag lucht a labhartha, an chuid acu a bhfuil scríobh nó léamh aon teanga acu. Nuair a chuaigh daoine de lucht labhartha na hAraibise Theas a chónaí san Aetóip fadó, chuir siad tús le forbairt na Sean-Amairise (ná tóg in ainriocht na hAramaise í, ní hionann an dá theanga!) nó an teanga Ge'ez, a úsáidtear i gcónaí mar theanga naofa in Eaglais na nOrtadocsach Cóipteach san Aetóip. Thairis sin, saothraítear an Nua-Amairis mar theanga scríofa inniu, in éineacht le cúpla canúint nó teanga eile a d'eascair ón tsean-Amairis fosta. Is í an Tigrinis an ceann is tábhachtaí acu seo, nó is í teanga oifigiúil na hÉaraitré í.
Cuid de na saineolaithe, áfach, - an scoláire Iosraelach Roibeard Hetzron thar aon duine eile - tá siad inbharúla nach bhfuil ag an Araibis Thuaidh ach lúb bheag ghaoil leis an Araibis Theas agus na teangacha Amaracha san Aetóip. Síleann an scoil seo go bhfuil an Araibis sa ghrúpa céanna leis an Eabhrais agus an Aramais. Stádas na hArabaise i dtíortha éagsúla. Tá dath uaithne ar na tíortha ina bhfuil an Araibis amháin oifigiúil, dath gorm dorcha ar na tíortha ina bhfuil an Araibis oifigiúil in éineacht le teanga(cha) eile ach á labhairt ag an móramh, dath gorm éadrom ar na tíortha ina bhfuil an teanga oifigiúil agus í á labhairt ag mionlach nó ina bhfuil ról cultúrtha aici. Cibé faoi sin, tá lucht an tsaineolais féin ag dul in éadóchas ag iarraidh crann ceart ginealais a líniú do na teangacha Seimíteacha. Nó tá na teangacha seo i ndiaidh an-lorg a fhágáil ar a chéile. Thairis sin, nuair a shocraigh na sluaite móra de Ghiúdaigh síos i dtíortha Ioslamacha le teacht slán ó na géarleanúintí barbartha a bhí ar cois ag na Críostaithe, is léir gur fhág sin faoi thionchar na hAraibise iad, agus iad ag forbairt na hEabhraise mar theanga léannta. Agus arís, an cineál Aramaise a labhraítear sa Mheán-Oirthear inniu, tá sí á saothrú ag daoiní a bhfuil cónaí orthu i dtíortha Arabacha, daoine a chaithfeas Araibis a tharraingt orthu agus iad ag caint le lucht údaráis an stáit. Fágann an Araibis a lorg ar chaint bheo na hAramaise inniu, mar sin, agus an dá theanga chomh dlúth sin i dteagmháil le chéile. An tSean-Aramais a chleachtaíodh lucht léinn an Ghiúdachais i gcuid de na scríbhinní naofa Giúdacha, is léir gur "Aramais Ghiúdach" atá ann, Aramais a cuireadh in oiriúint do riachtanaisí téarmaíochta an Ghiúdachais - agus an Eabhrais ag soláthar na téarmaíochta, nó múnlaí a húsáide, ar a laghad. Is é an tátal is féidir a bhaint as an méid seo nach bhfuil fáil ar Araibis ar bith ach an Araibis ar imir an Eabhrais agus an Aramais a dtionchar uirthi. Is é an cineál Eabhrais a chleachtaítear inniu an Eabhrais ar imir an Aramais agus an Araibis a dtionchar uirthi. An Aramais atá ann, forbraíodh faoi thionchar an dá theanga eile í fosta. Mar sin, ní féidir le haon duine a thuilleadh aon bhreithiúnas róchruinn a thabhairt ar an dóigh a raibh na teangacha seo gaolmhar le chéile sular tháinig siad i síor-dhlúth-theagmháil le chéile. Cibé faoin ngaol atá ag an Araibis leis na teangacha Seimíteacha eile, tá muid sách eolach ar an Araibis féin. Rinneadh an chéad trácht ar na hArabaigh riamh in annalacha na hAisíre ocht gcéad go leith de bhlianta roimh bhreith Chríost. Rinne an Rí Salmanassar a Trí tagairt don chath a chuir sé ar ghinearál arbh ainm dó Gindibu, agus é ina thaoiseach ar an treibh úd Arbi. Is féidir, áfach, nach raibh de chiall leis an fhocal áirithe seo ar dtús ach "fánaí", duine den lucht fáin a bhí ag dul thart timpeall ar fud Leithinis na hAraibe. Fánaithe ab ea na hArabaigh ceart go leor, go dtí gur cumadh cineál nua diallaite a chuir ar a gcumas marcaíocht cheart a dhéanamh, in áit na seansrathrach nach dtiocfadh ach earraí a luchtú uirthi. Chuir an diallait an-luas leis an bhfánaíocht, i gcruth is gur tháinig treibheacha éagsúla le chéile, rud a chuidigh leo focail is foirmeacha a ghlacadh isteach ó chanúintí eile agus cineál caighdeán nó comh-chanúint a chruthú ina measc féin. Deirtear gur beidiúnaíodh cultúr agus teanga na nArabach, agus as an mbeidiúnú seo a fáisceadh an Araibis mar theanga chlasaiceach nó réamhchlasaiceach. Tá focail agus ainmneacha Araibise le fáil in áiteanna éagsúla roimh lá Mhuhamad in inscríbhinní - cuid acu, tá siad scríofa le litreacha na hAraibise Theas; an chuid eile acu, Aramais atá iontu, diomaite de na hainmneacha pearsanta a bhaineann leis an Araibis. B'é an Córan a chuir bun leis an litríocht Araibise agus le caighdeán na hAraibise Clasaicí. Ar chúiseanna na diagachta féin, is gnách a shíleadh go raibh an Fáidh dall ar scríbhneoireacht is aibítir ar bith. Ar a laghad, bhí páirt thábhachtach ag an ghlanmheabhraíocht i bhforbairt an Chórain. I ndiaidh bhás Mhuhamad, áfach, tháinig an-deifir ar lucht a leanúna a chuid aislingí a chur i míotar, agus mar sin, bhreac siad síos an Córan agud chuir siad in eagar é mar leabhar ceart. An aibítir a bhí in úsáid ag na hArabaigh san am sin, ba leagan iodálaí den aibítir Fhéiníceach í, agus cuid de na litreacha ag éirí chomh cosúil le chéile is nach raibh san fhocal scríofa go bunúsach ach seort crann taca don ghlanmheabhraíocht. Ó bhí páirt iontach lárnach ag an gCóran ins an reiligiún - nó is é foirceadal an Ioslaim gurb é focal Dé gan truailliú é - theastaigh ceartlitriú níos cruinne ó na Muslamaigh, agus faitíos orthu go gcuirfeadh an drochscríbhneoireacht briathar Dé as a riocht. Mar sin, cuireadh poncanna breise le litreacha áirithe chun fuaimeanna éagsúla a choinneáil scartha ó chéile. Dealraíonn sé gurb ó aibítir Shíreach na hAramaise a fuarthas na poncanna seo. Ina dhiaidh sin féin, níor ghnách na gutaí a scríobh amach ar aon dóigh ar leith. B'é an gramadóir Abú 'l-Asbhad al Du'áilí a chuir an chéad sonrú i dtábhacht na ngutaí i gcaighdeánú na hAraibise sa tseachtú haois, ach b'é al-Hailíl ibn Achmad sa chéad aois eile a chum na comharthaí a sheasann do na gutaí i scríbhneoireacht Araibise an lae inniu. An chéad ghramadóir Araibise, al-Siobabhaithí, ní Arabach a bhí ann ach Peirseach a chaithfeadh an teanga a fhoghlaim mar theanga iasachta. Deirtear, fiú, nár bhain an fear bocht líofacht rómhaith amach sa teanga labhartha riamh. Mar sin féin, chruthaigh sé modheolaíocht dhian gramadóireachta a rabh an-tionchar aici ar na glúnta de thaighdeoirí teangeolaíochta ina dhiaidh. Bhaineadh sé úsáid as analach loighciúil mar phríomhghléas gramadóireachta, agus tá sé incheaptha gur éirigh leis foirmeacha nó cleachtais ghramadaí a athbheochan sa teanga scríofa nach raibh ach a n-iarsmaí le fáil sa ghnáthchaint. Bhí an teanga féin á teannadh is á streachailt go mór ag athruithe na sochaí Arabaí a tháinig ar lorg an Ioslaim, agus na hArabaigh ag cur catha ar lucht an "éigreidimh" sna tíortha ina dtimpeall. Nó de réir mar a bhí siad ag teacht i seilbh tailte nua a bhí go minic níos saibhre nó níos airde ó thaobh an chultúir de ná saol fáin na mBeidiúnach, b'éigean dóibh focail úra a ligean isteach, agus iad ag fáil aithne ar chleachtais is aireagáin nár casadh orthu roimhe seo. Ní raibh an t-athrú seo ag taitneamh le lucht an ghlanteangachais, áfach, agus iad barúlach nár chóir teanga naofa an Chórain a chur as a riocht le truailliú iasachta, ó b'é briathar Dé é.
Ní raibh teanga an Chórain féin glan ar iasachtaí, muis. Rinneadh tagairt cheana féin don dóigh ar fhág Aramais Shíreach na gCríostaithe a sliocht ar Araibis an Chórain. Thairis sin, is léir go ndearnadh trácht éigin sa Chóran féin ar ábhair nó ar rudaí a raibh baint acu le saol sofaisticiúil na Peirse, agus lipéid Pheirsise á n-úsáid ag na hArabaigh féin ar na rudaí seo. Nó, tar éis an tsaoil, ní raibh aon chaill ar na hArabaigh riamh ag trádáil le hearraí só, ar nós na túise is na síoda, na ndathanna is na gcumhrán, agus tháinig na focail i mbéal na nArabach chomh túisce is a chuala siad iomrá ar na rudaí a raibh na focail seo ag seasamh dóibh. Sna tíortha iasachta ba thúisce a d'fhorghabh siad, fuair na hArabaigh rompu cultúr saibhir an Heilléineachais. Ba mhór an spreagadh do na hArabaigh é léann a fhoghlaim agus Araibis a chur ar shaothair eolaíochta na scoláirí Heilléineachais. Nuair nach raibh meas an mhadra ag an Iarthar ar smaointeoirí ná ar thaighdeoirí an Heilléineachais, rinne na hArabaigh a gcuid féin dá n-obair siúd. Ansin, tháinig borradh mór i saothrú téarmaíochta an léinn is na heolaíochta san Araibis, ó bhí téarmaí nua ag teastáil leis an teanga a chur in oiriúint do na smaointí úra a bhí le cur i bhfoclaibh inti. Mar is dual do theanga Sheimíteach, tá gramadach na hAraibise bunaithe ar thamhain trí chonsan. Is féidir, ansin, an dúrud d'fhocail éagsúla a fhréamhú as an trí chonsan sin ach tú a bheith eolach ar an dóigh a gcuirtear na gutaí eatarthu leis an gciall a mhodhnú mar is cóir. Sin é an fáth féin gur fearr leis na hArabaigh córas litrithe a úsáid nach n-úsáideann litreacha ach amháin leis na consain a chur in iúl. Is iad na consain is mó a iompraíonn an chiall, agus mar sin, tá sé áisiúil litriú a úsáid a chuireann ar do chumas an tamhan a aithint leis an chéad spléachadh súile. Is léir go raibh an Córan an-tábhachtach mar fhoinse is mar dhíol aithrise i bhforbairt na stíle liteartha, ach thairis sin, bhí na luathghramadóirí is na haistritheoirí go mór i dtuilleamaí iarsmaí na filíochta réamh-Ioslamaí agus iad ag iarraidh a fháil amach cad é ba dea-Araibis ann. Bhí taoisigh Arabacha go minic i muinín scríobhaithe Síreacha nó Peirseacha, agus is féidir go raibh tionchar éigin ag a stíl siúd ar stíl na hAraibise. Scéal ar leith é an tionchar a bhí ag an Ghréigis ar fhorbairt na hAraibise liteartha. Na chéad iarrachtaí a tugadh ar shaothair fhealsúnachta a aistriú ón Ghréigis, b'uafásach an raiméis ab ea iad, nó bhí lorg na bunteanga chomh láidir orthu nach dtiocfadh le haon Arabach bun ná barr a dhéanamh díofa. De réir a chéile, áfach, fuair na hArabaigh blas ar obair an aistritheora. Thar aon duine eile, b'é Hunaighea ibn Íosthác, a mhair sa naoú haois, ardmháistir na ceirde, nó bhí stíl an-dúchasach ins achan líne dá dtigeadh óna pheann - nó sin é an dearcadh traidisiúnta. I ndiaidh an iomláin, tá lucht an tsaineolais den bharúil inniu go bhfuil aithne éigin Gréigise ar an úsáid chasta dheacair a bhaineanns mo dhuine as na rangabhálacha - úsáid nach bhfuil ag teacht le comhréir na hAraibise is glaine, is nádúrtha. Mar sin, is féidir glacadh leis go raibh tionchar ínteacht ag an Ghréigis ar an dóigh ar fhorbair stíl na heolaíochta, agus an dúrud de leabhartha Gréigise a haistríodh go hAraibis. Caithfidh muid cuimhne a choinneáil air nár rugadh an duine go fóill a chleachtfadh caighdeán clasaiceach na hAraibise ina ghnáthchaint. Is é sin, tá an staid ar a dtugtar débhéascna i bhfeidhm ar fud dhomhan na hAraibise. Is é is brí le débheascna ná go bhfuil réimsí áirithe an tsaoil chultúrtha - an litríocht, cuir i gcás - ag baint úsáide as leagan ard na teanga, agus an gnáthshaol ag roghnú an leagain ísil. Ní hionann seo agus an ghnáth-dhifríocht idir teanga na ndaoine galánta agus teanga na cosmhuintire. Nuair atá an débheascna i gceist, ní rithfeadh leis na daoine uaisle féin an leagan ard a úsáid ina ngnáth-chumarsáid laethúil. Thairis sin, tá an leagan ard chomh difriúil leis an ngnáthchaint agus nach dtiocfadh le haon duine é a labhairt go spontáineach. Is amhlaidh gur socraíodh caighdeán na hAraibise sa séú agus sa seachtú haois - roimh chaighdeánú na sean-Ghaeilge féin. Mar sin, ní aibhéil a rá gur dhá theanga an-éagsúla iad an Araibis chaighdeánta agus gach ceann de na canúintí labhartha. Bhí dímheas ag na hArabaigh riamh ar an té nach gcloífeadh leis an gcaighdeán ina chuid scríbhinní, ó tháinig an caighdeán anuas ó Dhia féin leis an gCóran Beannaithe. Ina dhiaidh sin féin, tá teacht ar go leor litríochta nach bhfuil ag cloí leis an gcaighdeán. "Meán-Araibis" a thugann na saineolaithe ar an gcineál teanga atá ann. Is é is Meán-Araibis ann ná Araibis atá truaillithe ag an gcanúint labhartha, nó Araibis atá curtha ó mhaith ag an bhforcheartú. Is é an rud atá i gceist le forcheartú ná iarrachtaí ró-dhíocasacha an scríbhneora neamhchleachtaigh foirmeacha na gnáthchainte a sheachaint, ionas go mbreacann sé síos foirmeacha bacacha nach bhfuil le fáil sa chanúint ná sa teanga chaighdeánta. Ba nós leis na Giúdaigh riamh a n-aibítir féin a chur i bhfeidhm ar gach teanga dá labhróidís - mar seo a cruthaíodh an Ghiúdais, an cineál Meán-Ghearmáinise a chleachtaíodh Giúdaigh Oirthear na hEorpa roimh uileloscadh Hitler. D'imir siad an cleas céanna ar an Araibis. Tá an chuid is mó de na téacsanna Giúdacha Araibise sách cóngarach don chaighdeán Chlasaiceach. Dealraíonn sé, ar a laghad, nár thug na scríbhneoirí Giúdacha aon iarracht riamh ar eilimintí gnáthchainte a ligean isteach sa teanga scríofa d'aon ogham. San am chéanna, tá cuid mhór Eabhraise, idir fhocail agus abairtí iomlána measctha tríd an Araibis a scríobhadh siad. Níl an Araibis Ghiúdach róchosúil le Meán-Araibis na gCríostaithe. Na scéalta naomhsheanchais, na haistriúcháin Bhíogúla agus an litríocht reiligiúnach eile a chumadh Críostaithe na dtíortha Arabacha le haghaidh a n-úsáide pearsanta féin, bíonn siad breac le truailliú ón ngnáthchaint, agus is minic nach mbacann na haistritheoirí le cur in aghaidh an tionchair ó na bunleaganacha Gréigise. Ón taobh eile de, níl forcheartú le haithint ar na scríbhinní seo. Nuair a bhí scríbhneoir Críostaí dall ar chleachtais chearta an chaighdeáin nó idir dhá chomhairle, roghnaíodh sé riamh an leagan a bhí sa ghnáthchaint. Maidir le príomhshruth an tsaoil Araibise, is dual do gach scríbhneoir i gcónaí canúnachas a sheachaint i scríbhinní. Tá glacadh le hamharclannaíocht sa ghnáthchaint ceart go leor, gan aon trácht a dhéanamh ar na sraithscéalta teilifíse. An chuid is mó den litríocht, áfach, tá sí glan ar an gcanúnachas inniu féin. Bíonn na scríbhneoirí ag cur an mhíle strus orthu féin ag foghlaim rialacha an chaighdeáin le bheith in ann aithris a dhéanamh ar na seanmháistrí. Ar ndóigh, cuireann an tIoslam an-bhéim ar chomh tábhachtach is atá sé teanga an leabhair bheannaithe a choinneáil beo, mar chuid den urraim atá dlíte do Dhia ón Muslamach chráifeach. Thairis sin, tá lucht an náisiúnachais shaolta sách naimhdeach i dtaobh an chanúnachais chomh maith, nó is é a mbarúil-san go gcaithfidh na hArabaigh uile cur le chéile agus comhar a dhéanamh i ndiúnas ar fhorlámhas an Iarthair. Mar sin féin, tá litríocht scríofa i gcanúintí na Liobáine, rud a bhaineann leis an chlaonadh úd nach nglacann leis gur tír Arabach í an Liobáin féin, agus bhí gluaiseacht filíochta canúnaí ann le linn thréimhse Nasir san Éigipt, mar a raibh roinnt filí ag iarraidh litríocht de chuid na ngnáthdhaoine a chothú mar chuid de thionscnamh an tSóisialachais Araibigh. Sa lá atá inniu ann, uaireanta úsáidtear an chanúint le ráitis phearsaí na n-úrscéalta a chur in iúl fosta, ar maithe leis an réadúlachas. Roinntear canúintí na hAraibise ina gcúig phríomhghrúpa: canúintí na Leathinise Arabaí; canúintí na Measapotaime (na hIaráice); canúintí na Siria stairiúla, .i. an chuid is mó den tSiria, den Liobáin, den Iordán agus de Phalaistín an lae inniu; canúintí na hÉigipte; agus na canúintí a labhraítear i dtíortha Thuaisceart na hAifrice siar ón Éigipt - al-Maghreb a bheir lucht na hAraibise ar na tíortha seo. Bíonn difríochtaí sóisialta agus áitiúla le cluineadh laistigh de na canúintí réigiúnacha, agus go hiondúil bíonn stádas sóisialta níos airde ag baint le canúintí na gcathrach ná mar a bhíonn le canúintí na tuaithe. Thar aon rud eile, bíonn canúintí na mBeidiúnach (fánaithe na bhfásach) sách difriúil leis an gcineál Araibise a chluinfeá ó mhuintir na gcathrach sna bólaí céanna (na canúintí cónaitheacha nó na sedentary dialects mar a deir an Béarlóir). Go háirithe, bíonn na canúintí Beidiúnacha níos seanársa, agus iad ag caomhnú tréithre a chuaigh in éag i gcaint na gcathrach. Tá teacht ar chathracha i ndomhan na hAraibise fosta ina bhfuil canúint Bheidiúnach á labhairt, ach bíonn míniú stairiúil ann ar a leithéid seo. Am éigin fadó tháinig sluaite móra ón tuath - nó ón bhfásach - timpeall na háite le cur fúthu ansin, i gcruth is go bhfuair a gcuid cainte lámh in uachtar ar Araibis thraidisiúnta an bhaile mhóir. Cleachtaíonn na Beidiúnaigh filíocht bhéil na sean-Arabach i gcónaí, rud a chuidigh leo an blas ársa a choinneáil beo ar a dteanga. Cás ar leith iad na canúintí a labhraítear i Málta agus sa Chipir. Nuair a d'fhorghabh na Normannaigh Málta, chuaigh an Araibis Chlasaiceach i léig san oileán, agus na Muslamaigh a bhí ina gcónaí ansin, murar maraíodh iad, cuireadh d'fhiachaibh orthu iompú chun Críostaíochta. Ós rud é gurbh ionann an Araibis Chlasaiceach agus Araibis an Chórain, ní fhéadfá í a shaothrú mar theanga chultúrtha a thuilleadh, agus tú ag iarraidh gothaí an dea-Chríostaí a chur ort féin. Déanta na fírinne, is iomaí Máltach nach n-admhaíonn sa lá atá inniu ann gur canúint Araibise atá á labhairt aige: is fearr leis a áitiú air féin gur sean-Fhéinícis - teanga Sheimíteach atá níos cosúla leis an Eabhrais ná an Araibis, mar a chonaic muid thuas - a bhí ag a shinsir ar tús, agus nach raibh ag an Araibis ach tionchar láidir ar an teanga seo. Ní ghéilleann lucht na teangeolaíochta don chineál seo cainte, áfach. Is léir go raibh Féinícis ag muintir an oileáin ó thús, agus gur chuidigh an teanga ghaolmhar seo leo a gcuid féin a dhéanamh den Araibis nuair a tháinig orthu - ach sin a raibh ann. Ní raibh sa Mháltais go ceann i bhfad ach canúint labhartha, agus í á forbairt ina treo féin beag beann ar dhomhan mór na hAraibise. Fuair sí na mílte focal ar iasacht ón Iodáilis, agus nuair a tháinig na Sasanaigh i seilbh an oileáin, thosaigh na focail Bhéarla ag sileadh isteach. Maidir le hAraibis na Cipre, tá sí ar tí dul in éag ar fad, faraor géar. Ní raibh sí á labhairt riamh ach in aon sráidbhaile amháin, Kormakiti, agus nuair a d'ionsaigh na Turcaigh an Chipir le tuaisceart an oileáin a ghabháil sa bhliain 1974, scaipeadh an chuid ba mhó de bhunadh an tsráidbhaile ar fud na leithe Gréagaí den oileán, agus iad ar a dteitheadh ó na Tuircigh. Canúint chónaitheach ón tSír í Araibis Khormakiti go bunúsach. Ar a laghad, sin iad an cineál canúintí is cosúla léi. Inniu, áfach, tá sí breac le hiasachtaí Gréigise, agus is ar éigean a bheifeá ag súil lena mhalairt. Nó is teanga í nach mbreactar síos de ghnáth. Má scríobhtar an-chorruair í, is dócha gurb iad na litreacha Gréigise a chuirtear i bhfeidhm uirthi, nó is í an Ghréigis a úsáideann muintir Khormakiti mar theanga liteartha shibhialta. Maidir le litríocht na hAraibise, is léir go gcaithfear an litríocht Chlasaiceach a aithint thar an litríocht nua-aoiseach. Is é an Córan an téacs is sine, ar ndóigh, siúd is gur chuir lucht na gramadóireachta díolamaí seanlitríochta agus filíochta de chuid an phobail i dtoll le chéile mar phatrún stíle agus mar ábhar staidéir. Bhain an fhilíocht seo le béaloideas na Sean-Arabach ón tréimhse réamh-Ioslamach, ach is iomaí athrú agus beart cinsireachta a chuir lucht tiomsaithe na mbailiúchán seo i bhfeidhm ar an bhfilíocht le smál na Págántachta (nó an "Aineolais", al-jahiliyya, mar a deir an Araibis) a ghlanadh díobh. Siúd is nár ghnách do na filí réamh-Ioslamacha a gcuid saothar a bhreacadh síos, bhíodh na Sean-Arabaigh riamh meabhrach ar ainm an fhile a chum dán áirithe, díreach cosúil le bunadh na Gaeltachta fadó. Mar sin, ní cheadódh reacaire réamh-Ioslamach dó féin leasuithe a dhéanamh ar dhánta le filí eile. Bhí na reacairí ina bprintisigh ag seanmháistrí filíochta, ag déanamh staidéir ar shaothar an mháistir agus á reic le lucht éisteachta, le súil is go bhféadfaidís gradam an mháistir a bhaint amach le dánta dá gcuid féin faoi dheoidh. An chuid den fhilíocht seo atá ar fáil inniu, b'iad fir léinn na hochtú haoise a chuir ar pár an chéad uair í ó bhéal na ndaoine. Ar ndóigh, d'fhág blianta fada na béalaithrise a sliocht ar na dánta. Is dócha go raibh traidisiún na reacaireachta réamh-Ioslamaí ag meath cheana féin nuair a chuaigh na bailitheoirí i mbun pinn, agus gan dabht bhí na reacairí féin ag déanamh cinsireacht ar na blúiríní deireanacha Págántachta a bhí le haithint ar na dánta seo. Tá amhras curtha sna díolamaí filíochta réamh-Ioslamaí ag fear chomh clúiteach le Taha Husain - duine de na daoine is mó tábhachta i stair intleachtúil na hAraibise is na hÉigipte lenár linn - agus é inbharúla nach bhfuil iontu ach cumadóireacht bhrionnaithe de chuid na mbailitheoirí féin. Ach níl an chuid is mó de na taighdeoirí sna tíortha Arabacha ná san Iarthar inniu ar aon tuairim le mo dhuine. Is é an qasida an ghné liteartha is tábhachtaí i bhfilíocht réamh-Ioslamach na nArabach. Tá an rím chéanna ag dul ó thús go deireadh an dáin, nó ní bhíonn ceathrúna i ndánta traidisiúnta Araibise. Bíonn na véarsaí féin sách fada. Is é an nasib is tús don qasida: cuimhní cinn ar iar-ghrá geal an fhile atá ann. Ina dhiaidh sin tugtar cur síos ar an turas agus ar an gcamall a iompraíonn an file ar shiúl óna ghrá geal, go dtí go mbaintear amach an tríú cuid den qasida: ansin, cuireann an file síos ar an bhfíorchuspóir atá leis an dán. B'fhéidir go bhfuil an file ag déanamh leithscéil, ag moladh a urraí nó ag saighdeadh a mhuintire chun cogaidh; ach is é an rud is aistí le léitheoir an lae inniu go gcaithfidh an chéad dá chuid - an chuid anghrách agus an cur síos ar an turas camaill - a bheith ann beag beann ar cad é is ábhar don chuid dheireanach. Ar ndóighe, bhí na filí ab fhearr in ann mórshaothair ealaíne iontu féin a dhéanamh de na codanna coinbhinsiúnta seo. Ón taoibh eile de, nuair a bhí na filí ag súil le pá fhlúirseach airgid óna n-urraithe, ní bhacfaidís mórán leis an gcuid anghrách ná leis an turas camaill, agus iad ag baint gach fad is gach fairsinge as an tríú cuid, ag moladh fear íoctha an dáin. Is féidir dearcadh ar an gCóran mar shaothar litríochta. Tá an-fhiúntas filíochta ag baint leis na súraí deireanacha den leabhar, ach go háirithe. Ós rud é gur leabhar naofa atá ann, mar Chóran, ní raibh de chroí sna filí riamh aithris ródhíreach a dhéanamh air mar phatrún stíle. Mar sin, an cineál prós ríme atá sa Chóran, níl mórán de le fáil sa chuid eile de litríocht na hAraibise. Bhí an fhilíocht sách mall ag athrú i ndiaidh theacht an Ioslaim féin. Dealraíonn sé gur fhan an-sracadh i móitífeanna a bhí bun os cionn le hoidim agus le foirceadal an chreidimh úir i bhfad i ndiaidh a bhunaithe, beag beann ar an dímheas a bhí ar na filí - "an aicme sin ar shlí Ifrinn" - ag na fir naofa. Thairis sin, cuid de na treibheacha a chuaigh i gcomhghuaillíocht le Muhamad ar tús, níor thuig siad ach de réir a chéile cad é a bhí i gceist leis an reiligiún nua: shíl siad i dtús báire nach raibh ann ach conradh polaitiúil. Nuair a ghabh na saighdiúirí Arabacha an Pheirs, an tseanríocht ardsibhialta, tháinig an-tionchar ón taobh sin ar litríocht agus ar fhilíocht na nArabach. Ar ndóigh, nuair a bhí Arabaigh ag cur fúthu sna cathracha, ag socrú síos le só na Peirse is ag éirí as seansuáilcí Spartacha an Bheidiúnachais, tháinig gá acu le filíocht nua nach mbeadh chomh mór sin i dtuilleamaí na gcamall le haghaidh meafair, samhlaoidí agus ábhar filíochta. Agus nuair a thosaigh an seicteachas Ioslamach ag teacht ar an bhfód leis an gCaraideachas nó leis an luath-Shítheachas, chrom fir a raibh féith na filíochta iontu ar dhánta bolscaireachta a chumadh le mairtírigh na seicte a mhóradh. Ba chuid d'oidhreacht fhileata na nArabach na dánta scigiúla freisin. Tháinig an-bhorradh faoin gcineál sin filíochta i dtréimhse na Cailifeachta Umaigheadaí, i ndeireadh na seachtú haoise agus sa chéad leath den ochtú haois. Faisiún mór a bhí i gceist leis na dánta scigireachta sa tSír agus san Iaráic i réimeas Chlann Umaighea, agus an file Críostaí Al Achtal chun tosaigh i gcogadh na bhfilí, nuair a bhí na filí ag caitheamh anuas ar a chéile i ndán i ndiaidh dán. Leis an bhfírinne a dhéanamh, dealraíonn sé nach raibh i gceist le cuid mhór den bhriatharchath seo ach mireog fhaisiúnta. Bhí an-mheas ag Al Achtal ar fhilíocht chuid mhaith de na filí Ioslamacha a raibh sé ag iomaíocht leofa ag cumadh goineoga maslacha i bhfoirm fhileata. Ós rud é gur Críostaí a bhí in Al Achtal, ní raibh aon chúl air fíon a ól, agus bhí sé ar duine de na filí ba mhó a scríobh dánta fíona fosta. Bhí an-traidisiún ag na dánta fíona i bhfilíocht na hAraibise, agus bhí sé an-fhadálach ag dul in éag, siúd is nach raibh moladh an fhíona is na meisce ag réiteach go rómhaith le riailbhéas an Ioslaim. B'é Abú Nubhás, a fuair bás sa bhliain 814, an file fíona ab aithnidiúla, nó sin é an cineál clú atá air, ar a laghad. Laoch béaloidis atá ann, mar Abú Nubhás, agus na mílte scéilíní á n-insint faoi. Is é an t-aon rud amháin ar féidir linn a bheith cinnte faoi i dtaobh mo dhuine ná nach bhfuil sa chuid is mó de na scéilíní seo ach cumadóireacht. Ar ndóigh, scríobhadh na seanfhilí Arabacha dánta grá chomh maith le duine. Nuair a bhí clann Úmáighea i seilbh na cailifeachta, bhí dhá phríomhghné á saothrú ag lucht scríofa na ndánta grá. Fir uaisle diomhaoine ba mhó a chumadh iad sna cathracha, agus iad go mór faoi thionchar na sofaisticiúlachta nó fiú an drabhláis a bhí ag teacht isteach ón bPeirs shean-ardchultúrtha. B'é Ómár ibn Aibí Raibíá an file ba tábhachtaí acu seo. Fuair Ómár bás dosaen nó cúpla dosaen de bhlianta i ndiaidh thús na hochtú haoise. Súgradh éadromchroích agus grá faoi cheilt is gnáthábhar don chineál seo dánta grá: tá blas áirithe craicinn agus collaíochta orthu, ach ní dánta gáirsiúla iad. Shaothraíodh na filí Beidiúnacha gné eile de dhánta grá, mar atá, traigéidí nó triantáin ghráidh. Amhráin a bhí sna dánta seo, agus thug siad go leor inspioráide do lucht scríofa próis fosta. B'iad Majnún agus Laidheala lánúin chlasaiceach na filíochta seo, cosúil le Triostán agus Iosóld san Artúraíocht. Bhí Majnún dúnta i ngrá le Laidheala ó tháinig an chéad chuimhne aige, ach nuair a pósadh an cailín ar fhear eile, chaill Majnún a mheabhair, agus fágadh ag fánaíocht san fhásach é, ag cumadh amhráin dá rúnsearc agus ag déanamh a chomhrá leis na hainmhithe aingiallta. Go leor de na dánta grá a thugann cur síos ar an scéal seo, deirtear gurbh é Majnún féin a chum iad, ach ar ndóigh, níl i gceist leis sin ach maisiú rómánsúil. Creideann lucht an tsaineolais gur pearsana finscéalacha amháin iad Majnún agus Laidheala agus baint acu leis an mbéaloideas réamh-Ioslamach. Mar sin, is dócha gur béaloideas atá sa chuid mhór de na hamhráin Bheidiúnacha seo fá dtaobh de ghrá leatrom Mhajnún, ach amháin nár cuireadh ar pár roimh lá na nÚmaigheadach iad. Is gá cuimhne a choinneáil air nach raibh cuid de na dánta seo intuigthe ach cnámha an scéil a bheith ar eolas agat cheana féin. Ní aithneofá cad é a bhí faoi chaibidil i go leor dánta ach na scéalta béil uile a bheith cluinte agat ó na seanchaithe a bhí á n-insint cois tine. De réir a chéile, meascadh an dá ghné trí chéile, i gcruth is gur fáisceadh dán grá de chineál úr astu - filíocht atá níos cosúla leis na hamhráin a chluinfeá ó thrúbadóirí na hEorpa sna meánaoiseanna. Déanta na fírinne, creidtear go raibh tionchar éigin ag filíocht na nArabach ar an trúbadóireacht san Eoraip. Nuair a tháinig Clann Abbáis - nó na hAbásaidigh - i seilbh na cailifeachta, bhí malairt cuma ar an bhfilíocht ghrá cheana. Bhí filíocht gháirsiúil á saothrú ag filí áirithe, ach is léir nach raibh aon ghlacadh oscailte ag an saol mór lena leithéid i sochaí an Ioslaim. B'í an fhilíocht homaighnéasach a tháinig chun tosaigh i dtréimhse na nAbásaideach. B'iad coinbhinsiúin agus comhghnása na filíochta Peirsí ba bhunsiocair leis seo; ach i mbreis ar an tionchar sin, dá n-úsáidfeá fíorainm mná i ndán anghrách, is féidir go sílfeadh athair cailín éigin ar comhainm le cailín an dáin, - go sílfeadh sé gur ag maslú a iníne-sean nó ag cur mígheanmnaíocht ina leith-se a bheifeá. Mar sin, bhí sé ní ba sábháilte cloí leis an ngrá homaighnéasach mar ghnás liteartha, beag beann ar an chineál craicinn ab fhearr leis an bhfile ina shaol phríobháideach féin. Dealraíonn sé, áfach, go raibh Abú Nubhás, máistir an chineál seo filíochta, - go raibh sé féin ina fhéileacán dháiríre. Fán am seo, i dtús na naoú haoise, a thosaigh na náisiúin neamh-Arabacha sa Chailifeacht ag éileamh a gcirt i saol an chultúir. "Siúbachas" nó shu'ubiyya a thugtar ar an ngluaiseacht seo, agus b'iad na Peirsigh a bhí chun tosaigh i measc lucht an tSiúbachais, mar ba dual dóibh. Sean-náisiún ardchultúrtha is ea na Peirsigh, ar ndóighe, agus siúd is go raibh siad ina ngéillsinigh ag na hArabaigh Mhuslamacha anois, níorbh ionann é is a rá gur lig siad a seanchultúr (ná a dteanga, nach bhfuil gaol ar bith aici leis an Araibis) i ndearmad i ndiaidh dóibh iompú i leith an Ioslaim. B'é Abú Nubhás, a ndearna muid trácht air cheana féin, an file ba mhó a d'eascair as ithir an tSiúbachais. Chuir a chuid scigaithrise deireadh leis an mBeidiúnachas i bhfilíocht na hAraibise. Bhí samhlaoidí nua ag déanamh a mbealaigh isteach - samhlaoidí a bheadh bunaithe ar shaol shofaisticiúil na gcathrach ina raibh cónaí ar shliocht na bhforghabhálaithe Arabacha anois. Ar ndóighe, ó b'as an bPeirs a tháinig an só sofaisticiúil i saol an Ioslaim, ba léir go raibh tionchar na Peirsise ar an bhfilíocht agus ar an stíl Arabach ag teacht in éineacht le hathrú an chultúir ábhartha. An stíl a tháinig ar an saol anois, is féidir í a chur i gcomparáid leis an mBarócachas - badi´ an téarma Araibise. Filíocht ardealaíonta is ea an fhilíocht badi´, agus í ag éirí cineál féintagarthach go géar gasta, ag cur níos mó béime ar an maisiúlacht agus ar na tagairtí liteartha: chaithfeadh gach aon fhile a léiriú go raibh sé eolach ar an traidisiún agus ar shaothar na bhfilí a tháinig roimhe féin. Bhí na filí á dtuirsiú féin leis na mílte meafar, pearsanuithe, paradacsaí agus cleasanna eile, agus na dánta ag éirí doléite ar fad. D'fhéadfá a rá gur chuir an file gairmiúil ardléannta ruaigeadh ar an éigeas tíre agus ar an bhfile pobail. Baineann an fhilíocht badi´ leis an naoú haois. Bhodhraigh sí cluasa na héisteoirí faoi dheoidh, agus d'fhill na filí nua ar an bhfilíocht "nádúrtha", nuachlasaiceach i ndeireadh na haoise céanna. Mar sin féin, níor ligeadh an fhilíocht badi´ i ndearmad go hiomlán. Tréimhse taighde, turgnaimh agus tástála ab ea tréimhse na ndánta badi´, tréimhse a mhúin go leor cleasanna úra do na filí - ach iad a úsáid go spárálach cúramach. Maidir le prós na hAraibise, ní raibh sé leath chomh forbartha leis an bhfilíocht chlasaiceach. Díolamaí de scéilíní magaidh ó bhéal an phobail ab ea na chéad leabhair phróis sa teanga, nó rudaí a dtugtar adab orthu: is é an cineál leabhar atá ann ná bolg soláthair, nó lón léitheoireachta don dalta óg atá ag tógáil léinn ar scoil. Is geall le téacsleabhair scoile iad na díolamaí adab go minic. Is iomaí téacsleabhar focleolaíochta nach furasta a aithint thar dhíolaim adab. B'as na díolamaí adab a d'fhás na ciclipéidí Araibise, sa deichiú haois ach go h-áithrid. Faoin mbliain 1000 a tháinig an maqama i gcrann, agus b'as an bPeirs a fuarthas an chéad spreagadh chun an chineál seo scríbhneoireachta a chleachtadh, ní nach ionadh. Scéal magúil is ea maqama agus é suite i saol na mbocht is na nocht sa chathair, nó i saol na n-oilithreach amuigh sna tíortha cúil. Bíonn na scéalta seo ag cur síos ar chleasanna na ndoilfeoirí agus ar reitric na reacairí i bpanc aonaigh, agus iad ag cur dallamullóg ar dhaoine macánta beag beann ar an dlí. De réir mar a chuaigh an cultúr Arabach féin i léig, nó in abar ar a laghad, chaill an litríocht a seansracadh chomh maith. Níor tháinig fuinneamh úr inti roimh athbheochan na naoú haoise déag - al nahda. San Éigipt a thosaigh an athbheochan chultúrtha, nuair a tháinig Muhamad Ailí i gcumhacht ansin i dtús na naoú haoise déag. Fear neamhspleách éirimiúil a bhí ann a rialaíodh a thír gan a chloigeann a bhuaireamh le cibé ordú a gheobhadh sé ó Shabhdán na Tuirce, siúd is go raibh sé ina ghéillsineach dó siúd, go foirmiúil. Theastaigh ó Mhuhamad a thír a fhorbairt agus a thabhairt i gcrann, agus an t-oideachas ar ceann de na clocha ba mhó ar a phaidrín - siúd is gurbh é an t-arm a phríomhchúram. B'fhéidir go raibh eagla air roimh ionsaí ón Tuirc. Bhunaigh sé clólann le saothair chlasaiceacha Araibise a athfhoilsiú, agus chuir sé tús leis an chéad nuachtán sa teanga. Chuir sé freisin dornán mac léinn ag foghlaim teangacha an Iarthair i bPáras, agus nuair a tháinig siad ar ais, chrom siad ar litríocht agus smaointeachas na hEorpa a aistriú go hAraibis. Lárionad eile ab ea Beirut sa Liobáin. Ós rud é go bhfuil an creideamh Críostaí sách coitianta i measc mhuintir dhúchasach na tíre sin, bhí intleachtóirí na Liobáine ní b'oscailte do thionchar an Iarthair ná an chuid eile de na hArabaigh. Scríbhneoirí Críostaí ón Liobáin a chuir tús le traidisiún na húrscéalaíochta Araibise, mar sin. B'é Júirjí (nó Seoirse) Zaigheadán an chéad duine acu seo. Ar nós go leor intleachtóirí eile, d'aistrigh sé ón Liobáin go dtí an Éigipt chun leas a bhaint as an meon agus as an atmaisféar caoinfhulangthach a bhí cruthaithe thall ansin ag athbheochan Mhuhamad Ailí. (Is gá a chuimhneamh nach daoine comhaimseartha a bhí iontu; nó rugadh Zaigheadán sa bhliain 1861, agus Ailí trí bliana déag ag iompar na bhfód cheana féin.) Scríobhadh Zaigheadán úrscéalta stairiúla. Siúd is nach bhfuil mórán fiúntais iontu do léitheoirí an lae inniu, agus an dóigh ar chum sé iad go géar gasta ceann i ndiaidh a chéile gan mórán marana a dhéanamh ar an tslacht ná ar an tsnoiteacht liteartha, bhí an-ghal orthu ag lucht comhaimsire an údair. Thug Zaigheadán spreagadh do scoil iomlán úrscéalaithe. Sna Stáit Aontaithe a chuaigh scríbhneoirí na scoile seo i mbun pinn an chéad uair, áit a raibh siad ar imirce le theacht slán ar shrianta polaitíochta a dtíre féin. Críostaithe ón Liobáin ab ea iad, nó an chuid ba mhó acu, cosúil le Zaigheadán. B'iad Kahlil Gibran (Jiobrán Chailíl Jiobrán) agus Mícheál Naimy (nó Míocha'éil Nú'aidheamá) an bheirt ba tábhachtaí de na scríbhneoirí seo. Scríobhadh Gibran as Béarla agus as Araibis, agus é ag cardáil téamaí Críostaí nó ábhair mhisticiúla reiligiúnda ar bhealach a tharraing súil na mílte léitheoirí Iartharacha ar a chuid saothar - ar a chuid saothair Bhéarla thar aon rud eile, ar ndóigh. Fuair Gibran bás sa bhliain 1931, agus tháinig scaipeadh ar an scoil scríbhneoirí ansin; ach cibé scéal é, bhí an-tionchar acu ar an saol liteartha ins na tíortha Arabacha féin. Faoin am céanna, bhí filí an nua-Chlasaiceachais ar nós Ahmad Seabhaqaí ón Éigipt agus an tIarácach Ma'ruf al Rúsaifí ag filleadh siar go bun ar thraidisiún na seanfhilíochta. Náisiúnaí Arabach ab ea Seabhaqaí, ach b'fhearr le Rúsaifí éagóir na sochaí a lochtú ina chuid scríbhinní. Ina dhiaidh sin, tháinig an nua-aoiseachas féin isteach, nuair a bhunaigh Ahmad Zaicí Abú Seaidí Cumann Apolló san Éigipt sna tríochaidí. Is é Ailí Ahmad Sa'íd - "Adonis" - an file is mó le rá dá bhfuil ag cumadh dánta as Araibis inniu. Tarraingíonn sé ar thobar an tSúfachais, nó misteachas agus rúndiamhróireach reiligiúnda an Ioslaim, ach níl a leithéid róthipiciúil ag na filí Araibise lenár linn. An náisiúnachas agus an Marxachas a bhíonn ag saighdeadh an chuid is mó de na filí tábhachtacha Araibise, agus iad go mór faoi thionchar na bhfilí Iartharacha. Maidir le forbairt an úrscéil sna tíortha Arabacha féin, i ndiaidh Zaigheadán agus Gibran, caithfidh muid Taha Husain a lua roimh aon duine eile. Fuair Taha Husain bás sa bhliain 1973 i ndiaidh cion fir, nó cion cúpla fear, a dhéanamh ag tabhairt chultúr a thíre i gcrann: is féidir a mhaíomh nárbh é an prós cruthaitheach an chuid ba mhó de shaothar a shaoil. Mar sin féin, níl aon chaill ar a chuid saothar liteartha. Scríobh sé úrscéal dírbheathaisnéisiúil agus díolaim ghearrscéalta a bhí bunaithe ar shaol an Fháidhe, Muhamad. 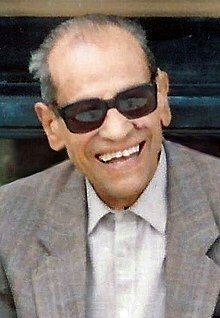 Ar ndóighe, ní mór tagairt a dhéanamh do Naguib Mahfouz (Najíb Mahfúz) a bhain amach Duais Nobel na Litríochta sa bhliain 1988. Rugadh an scríbhneoir bisiúil seo sa bhliain 1911. Ar dtús, scríobh sé cúpla úrscéal stairiúil, ach ansin chrom sé ar na scéalta móra a chumadh a thabhaigh a chlú dó: cur síos réadúil coscarthach atá iontu ar shaol na mbocht i gCaireo. Sna seascaidí a chuaigh sé a scríobh leabhair nua-aimseartha faoi chruachás phearsanta an duine aonair, úrscéalta a raibh blas an nua-aoiseachais Iartharaigh go mór orthu. Scríbhneoir tábhachtach eile ab ea Emil Habibi a fuair bás sa bhliain 1996. Palaistíneach a bhí ann a ghlac le saoránacht Iosrael, rud a d'fhág go rabh meas an tréigtheora is an fhealltóra ag cuid mhór dá mhuintir féin air. Is cosúil go raibh sé inbharúla gurbh fhearr do na Palaistínigh fanacht ar a dtír dhúchais, agus d'iarr sé go scriofaí ar a thuama na focail "A d'fhan i Haifa". Cibé scéal é, chaith Habibi fiche bliain ina Fheisire i bparlaimint Iosrael, knesset, agus é ina bhall de Pháirtí Chumannach Iosrael, arbh é an t-aon pháirtí amháin a thug ionadaíocht do na Palaistínigh a fágadh laistigh de theorainneacha Iosrael agus a throid ar son a gcearta. Is é an t-úrscéal faoin "duarcán dea-dhóchasach" úd Sa'íd Abú al Nahs ba mhó a thabhaigh clú agus cáil do Habibi. Úrscéal greanntraigéideach faoi ghéarchéim Phalaistínigh Iosrael atá ann. The Pess-Optimist a thug an t-aistritheoir Béarla ar an leabhar, - Na hEachtraí Aisteacha Maidir le Ceal Sa'íd Abú al Nahs, An Duarcán Dea-dhóchasach an teideal Araibise. Focal nuachumtha é "mutashá'il" an teidil araibise, meascán de "mutashámil" le brí "duarcán" agus "mutafá'il" le brí "dea-dhóchasach"; ciallaíonn an réamhainm araibise Sa`íd "áthasach" agus Abú al-Nahs "athair an mhí-áidh". Léiríonn an scéal cruachás an Phalaistínigh atá ina eachtrannach ina thír féin tar éis bhunú stát Iosrael. Ar ndóighe, siúd is go gcreideann cuid mhaith de bhunadh na hEorpa nach bhfuil sna mná Arabacha ach sclábhaithe baile ag caitheamh bráillíní, tá mná ag scríobh leabhar as Araibis le fada. Níor tháinig na hArabaigh glan ar mhúscailt mhór na mban sa naoú haois déag. B'í Bharda al Ghiázaijí an chéad scríbhneoir mná i stair na nua-litríochta Araibise. D'fhoilsigh sí díolaim dánta sna míle ocht gcéad seascaidí. Fuair mná na Liobáine spreagadh ón dóigh a raibh fir dá gcomhdhúchas, ar nós Gibran, ag cur sracadh nua i litríocht na hAraibise. B'í Maigh Zígheád a bhí ina príomhcheangal idir Kahlil Gibran agus na mná liteartha sa Liobáin, nó bhí sise agus Gibran ag seoladh litreacha chuig a chéile ar feadh i bhfad. Tháinig sraith iomlán de leabhartha beathaisnéise ó pheann Zígheád, agus í ag tabhairt cuntas ar shaol na gceannródaithe a chuir bun le gluaiseacht na mban sna tíortha Arabacha. Is iad Emily Nasrallah, Ghada al Samman agus Laidheala al Ba'albaicí na banúdair is tábhachtaí dá maireann i mBeirut inniu. Saolaíodh an triúr acu thart ar an mbliain 1940, agus iad ag iarraidh mná na Liobáine a shaigheadadh chun troda ar son a gcúise. Mar is eol dúinn, tá gluaiseacht na mban an-láidir san Éigipt fosta, agus cáil idirnáisiúnta bainte amach ag an scríbhneoir feimíneach udaí Nabhal al Sa'dabhaí thar aon bhean Arabach eile sna tíortha Iartharacha féin. Siúd is go bhfuil an Araibis ar a seanléim aríst mar theanga liteartha chultúrtha inniu, is iomaí fadhb a chuireann cúl ar na scríbhneoirí Araibise ina gcuid oibre. Ar ndóigh, tíortha tearcfhorbartha iad na tíortha Arabacha, agus iad go mór faoi shlabhraí na héagóra agus na holagarcachta. Siúd is go saothraíonn cuid mhór de na tíortha seo an-airgead ar an artola, ní bhíonn mórán den éadáil sin ar fáil do na sluaite bochta. An Sóisialachas a bhí ag gealladh nua-aoisiú agus athbheochan an tsaoil Arabaigh, lá, faoi bhrat na saoltachta, tá sé ag trá is ag tréigean le roinnt mhaith blianta anuas, agus an fuaimintiúlachas biogóideach ag teacht ina leaba. Ní dream iad lucht seo an ghlan-Ioslamachais a bheadh ró-fhabhrach don litríocht shaolta, ar ndóigh. Is toradh don chruachás é fosta ná go bhfuil na daoine in anás scolaíochta, agus iad dall ar an teanga scríofa. Ní maolú ar an bhfadhb seo ach an oiread go bhfuil an teanga scríofa bunaithe ar chaighdeán a raibh blas na seanársaíochta air le linn an Fháidhe féin. Thairis sin, ní bhíonn lucht rialtais na dtíortha Arabacha róchlaonta chun daonlathais ná ródhoirte do na scríbhneoirí a bhíonn ag fáil locht ar an tsochaí agus ag déanamh a ngearáin faoin éagóir agus faoin leatrom a fheiceann siad ina dtimpeall. Mar sin, is iomaí leabhar a cuireadh faoi chois agus a coinníodh le láimh láidir ó na léitheoirí; agus is iomaí scríbhneoir a chaith téarma fada i dtóin phríosúin. Tugadh an leathanach seo cothrom le dáta an 21 Lúnasa 2018 ag 14:08.